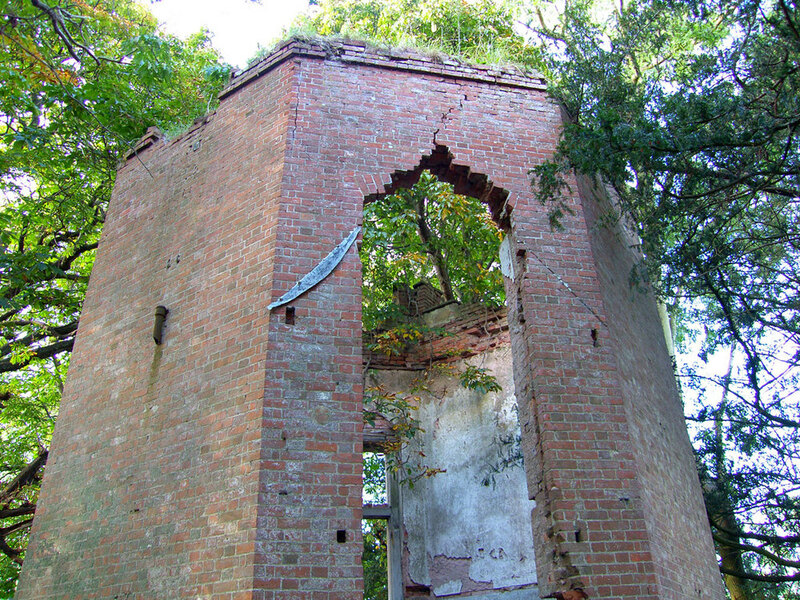 This C18 belvedere is a remarkable survival, and sits on top of a cone-shaped hill. 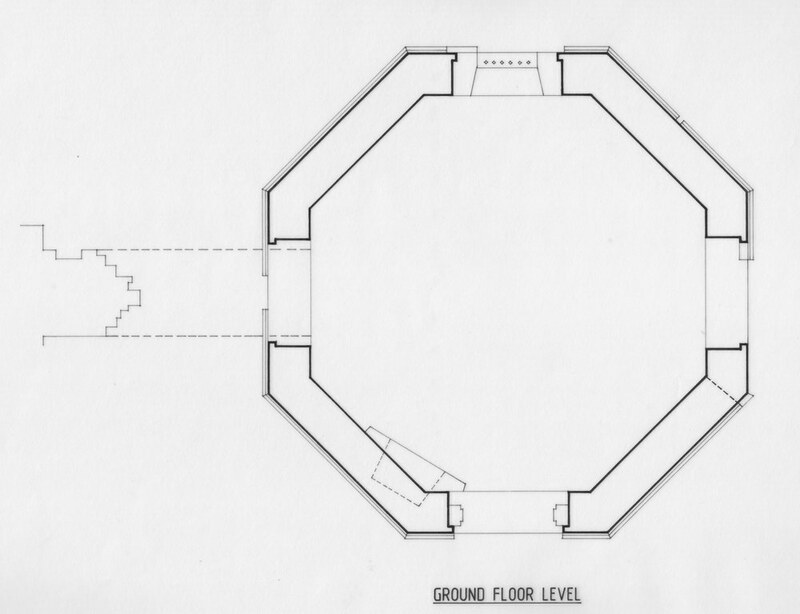 It was built as a dining pavilion, with a kitchen in the basement with a tunnel access. The dining room was on the main floor, with probably a small staircase to the roof, from which one would have had 360 degree views of the county. 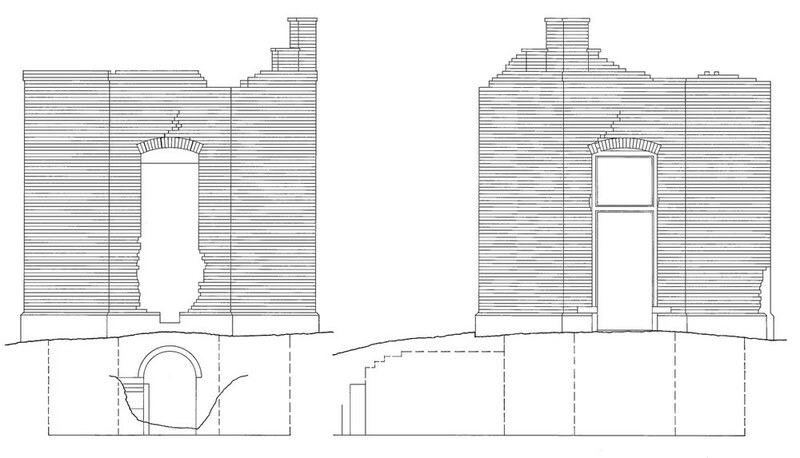 The mellow Herefordshire brickwork laid in Flemish bond and moulded sandstone plinth are of astonishing quality, and restoration of the structure is planned.